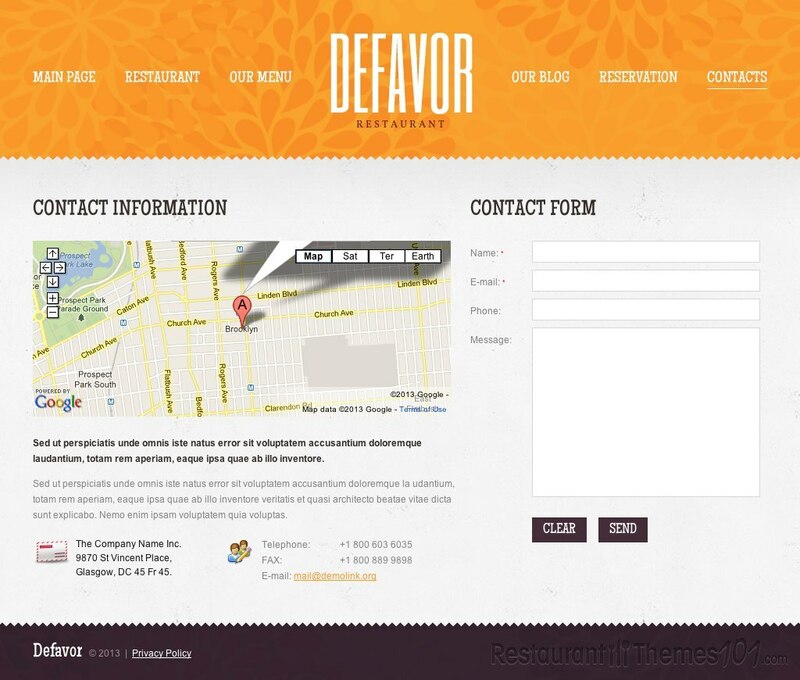 Defavor is a great looking WordPress restaurant theme created by Elza, and featured on Template Monster. 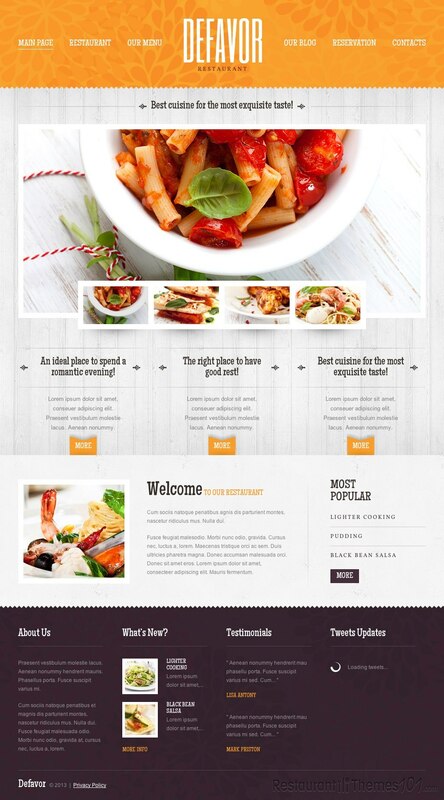 The theme is very modern and functional, specially created to represent your restaurant on the web in a nice, attractive way. 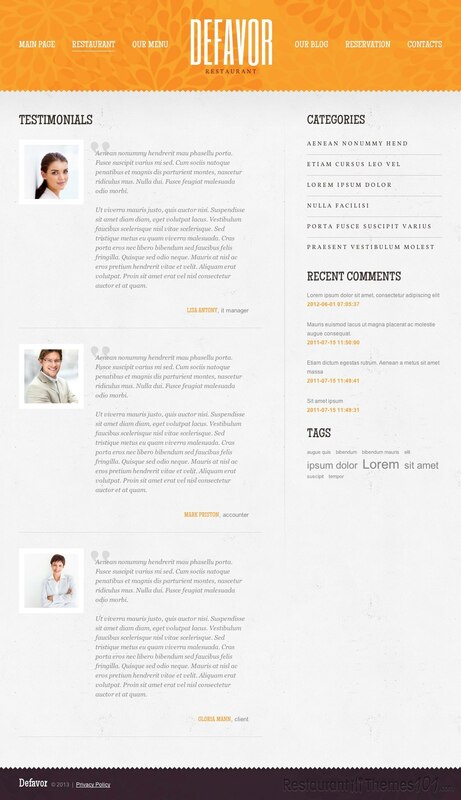 The layout of the Defavor theme looks very welcoming and interesting. The background pattern is very nice and the set of colors chosen for the layout is very clean and pretty with light gray, white and orange. The theme is completely widgetized and you can feature a nice looking slider on your homepage where you can showcase photos of your delicious dishes and make your visitors hungry for your food as soon as they open your website. The theme features several handy options that are necessary for a restaurant template, including a nice reservations system which will allow your visitors to book a table at your restaurant right there on your website by just clicking their mouse several times. The “restaurant” section contains FAQ and testimonials, where you can add nice things your satisfied customers have to say about your restaurant and allow them to be your best advertising tool because people like places that are praised by other people, it’s only natural. You will be able to create a menu with the drop down menu featured in this theme, and create it in several different categories making it easy for your visitors to find exactly what they are looking for in your menu. 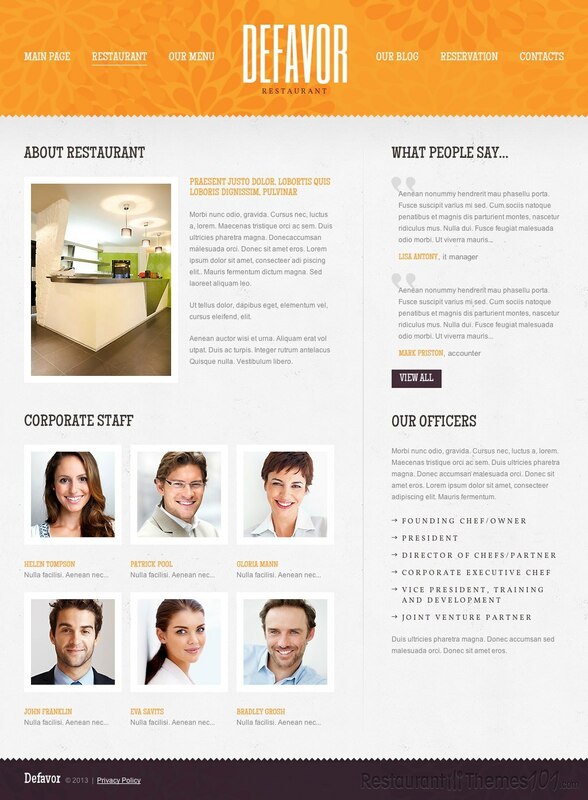 The theme has a blog section where you can add your own posts and tell your visitors everything you want to tell them about your restaurant. The theme comes with installation instructions attached making it very easy for you to setup and run the theme all by yourself. 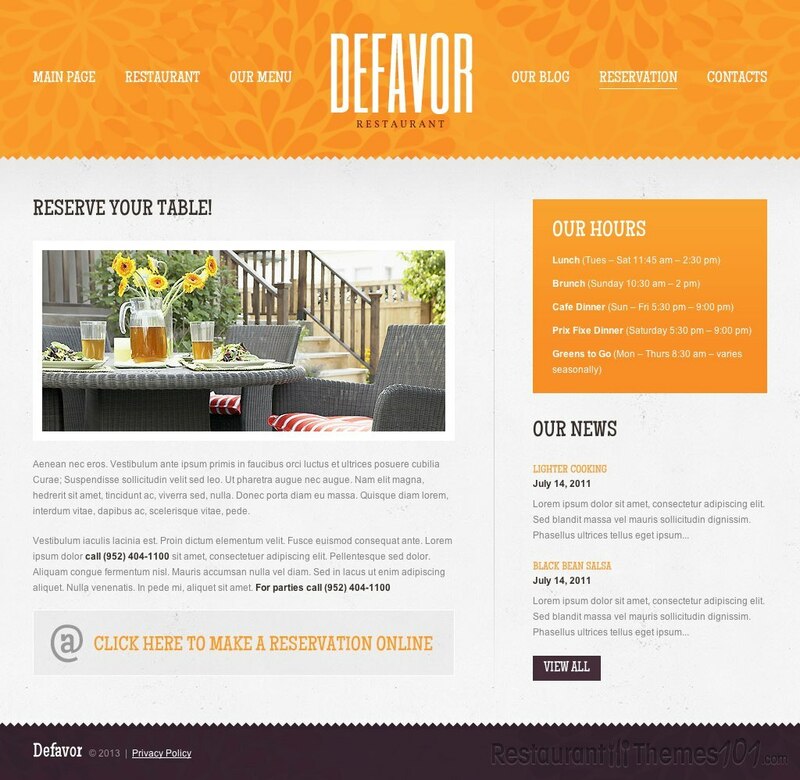 Aside from the regular theme purchase, you can choose several other options of buying the Defavor theme, including nice packages that include the theme + installation + domain, and more.